On the other hand, this Aditya Dhar directed film has Vicky Kaushal as the lead and had come on a regular Friday. 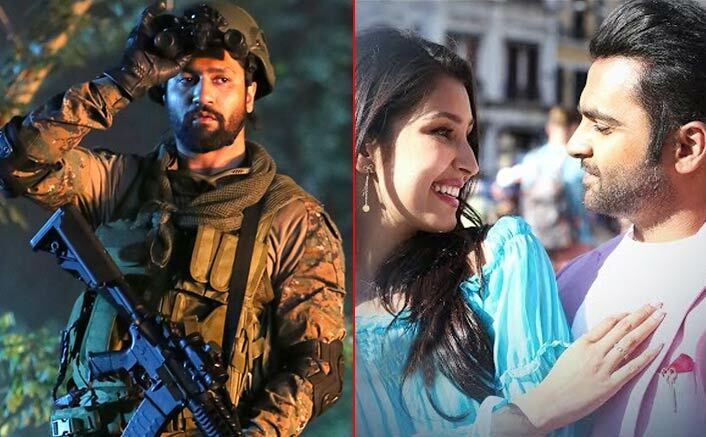 Uri – The surgical Strike collected 6 crores* on its fifth Sunday and with that the overall total for the film stands at 213.13 crores* at the box office. In the process, it has gone past the lifetime numbers of Prem Ratan Dhan Payo [210 crores] which starred Salman Khan and was a Diwali release. On the other hand, this Aditya Dhar directed film has Vicky Kaushal as the lead and had come on a regular Friday. Not just is the film staying on to be the first choice of audiences, it is also scoring heavily at the screens where it is currently playing. In fact, even though the film was in its fifth weekend, there were quite a few houseful shows that are being evidenced that pretty much tells the tale. That wasn’t really the case though for the new release Amavas that couldn’t attract audiences in the limited screens where it is playing. The horror flick stayed on to be a poor show right through the weekend and as a result, the collections stand at mere 2.50 crore*. Ideally, this should have been the first day number for the Sachiin Joshi and Nargis Fakhri starrer but then audiences weren’t really enticed about the film. This one is going to be a one week show and then makes its way to the digital platform soon. #Uri..Watched this movie 7 times waiting for it go pass junk like simbhaa…240.22 crores is the target…hai josh??? ?